Once you have started writing, never lose sight of that fact that your readers are children; your narrative and description should be different in certain aspects from adult writing. Show, not tell. Introducing your character as a ‘shy, quiet boy' is lazy writing. You need to show what he is like through his behaviour and actions. Don't be tempted to hurry a plot along with passages that explain things that happened outside the main focus of the story. If it isn't important enough to be featured in the story, with the main characters experiencing it, then it isn't worth including. (See POV in The Essential Guide to Writing for Children 2: Before You Write). For longer stories, all your characters should have aspects of both good and bad, and each one needs to show progression during your story. Children are smaller than us, so they see the world from a different angle. Your writing will become immediately more child-friendly if you describe a scene from a child's eye level rather than an adult's. Keep your language simple and appropriate to the age group. The odd word that children are unfamiliar with is fine - they will learn from it, but if you have too many, you will put the reader off altogether. Make sure that dialogue from a child character is written in words that a child of that age would use. For example, children of 4-8 are less likely to use contractions (don't, won't), and connectives and generalisers like actually, probably, although, moreover, also. Make sure that each of your characters speaks consistently in their own ‘voice' whenever you include dialogue. Children and adults have different preferences for words; noticing this and showing it whenever they speak is central to the success of your character development. Your main aim as a children's writer is to keep the child reading to the end of the story, and to give them the experience of enjoying reading. Keep the narrative punchy and short, move every scene on as fast as possible. Try to shock and amaze on every page! This is particularly important for YA, where the book will be designed in a smaller font and no pictures. Faced with big blocks of text, even the keenest teenage reader will be tempted to give up before the end if the book begins to drag. Think plot, plot, plot and deliberately plan for something to happen regularly, with a real drive and tension through to the last page, where your resolution should be complete and satisfying. Avoid long flowery descriptions, or passages where your character ruminates internally. One carefully chosen adjective is so much more powerful than paragraphs; remember that your prime job is always to entertain the reader, not to show off your creative writing skills. Avoid any references to current music, slang, fashion, or events. It will be out of date by the time the book is published. The Essential Guide to Writing for Children I: Which age group should I write for? The Essential Guide to Writing for Children 2 - Before You Write: What is My Story Going to be? Suzy Jenvey started working in publishing in 1986 at Jonathan Cape/Bodley Head as a Publicity Manager. After roles as Marketing and Publicity Director for Chatto and Simon and Schuster, she spent 15 years at Faber and FaberClick for Faber and Faber Publishers References listing as Children's Editorial Director. 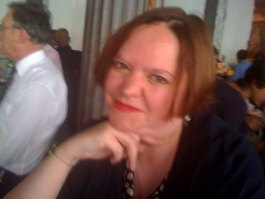 She has now set up her own literary agency specialising in children's books, Suzy Jenvey Associatesliterary agency specialising in children's books founded by Suzy Jenvey;. She gives talks about writing for children at the University of East Anglia and Queens University Belfast as well as creative writing groups. She also works supporting children in schools with literacy, and volunteers for the charity Riding for the Disabled, working with autistic children and horses.